Commercial buildings, like warehouses, parking garages, and distribution centers, require large garage doors to protect the products and assets stored inside. However, to ensure maximum efficiency and seamless operation, garage doors must be maintained regularly. 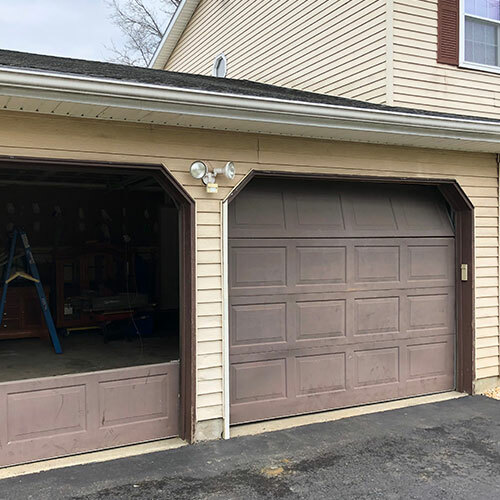 Inefficient, outdated, or damaged commercial garage doors can significantly affect your business’s productivity, leading to losses and shrunken bottom line. Worn Out Rollers: Commercial garage doors have more rollers than a residential garage door, due to its large size. With regular wear and tear, they can wear out and catch dirt and debris, which can impact their functioning. 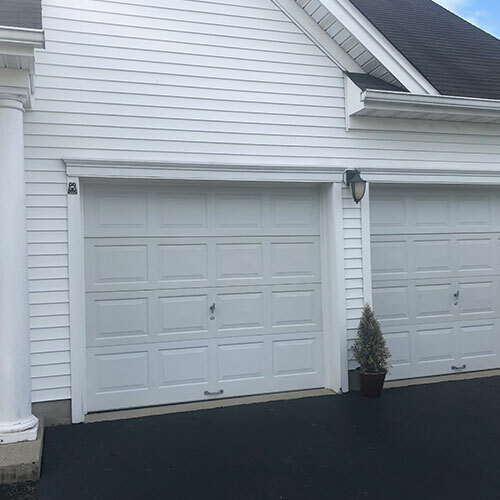 Improper Alignment: Metal tracks facilitate movement in commercial garage doors, and if these tracks fall out of alignment or get damaged, it can hinder in closing or opening. For this, you may need to adjust the tracks or replace them altogether. Damaged Motors: Most commercial garage doors are automatic and have motors to run the cables for opening and closing the door. The motor can wear out or get damaged due to overuse, you have to get it replaced to restore the functioning of the garage door. 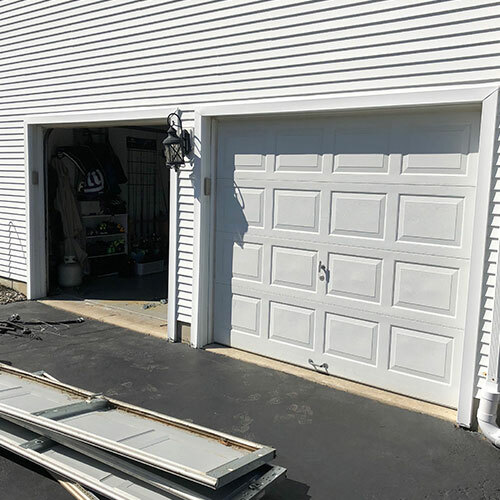 Whether you are a small auto repair shop, a massive manufacturing plant, or a busy distribution center with trucks loading and unloading packages 24/7, you need your commercial garage doors to be functioning properly at all times. 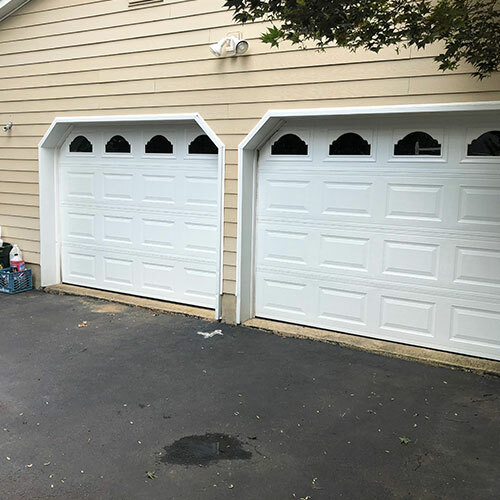 To ensure that they serve you well, it is best that you get them repaired as soon as possible by an expert technician from All Day Garage Doors. We provide our customers with emergency, same day repair services, where we put your business on priority and arrive at your location at our earliest. Our technicians have years of experience and know how to repair or fix any part, be it struts, brackets, springs, drums, rollers, cables, or motors. At All Day Garage Doors, we are always available whenever our customers call us for commercial garage door repair services. We are renowned across NJ for our top-notch services and provide upfront cost estimated for parts and labor. Our vehicles are fully equipped with spare parts and tools to perform repairs in a timely manner. In addition, our customer service is accessible round the clock, taking your calls and forwarding requests to our professional technicians for quick service. Don’t let your damaged or worn out commercial garage door disrupt your business operations. Call our reliable and expert garage door repairers today at 877-218-3667 today. 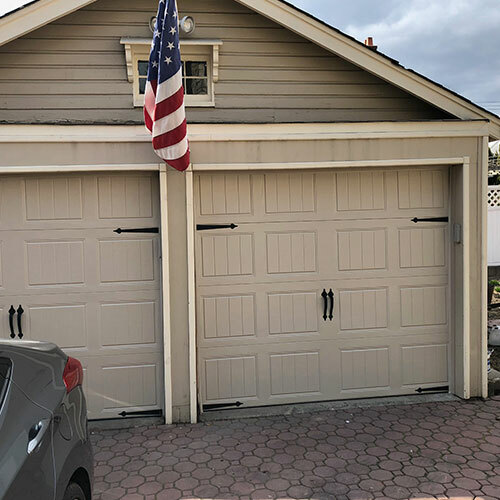 We have a large customer base in New Jersey and the reason we are trusted is that we believe in delivering our best possible services every time. That’s why we are recommended so many times by our customers, and we are proud of that fact. 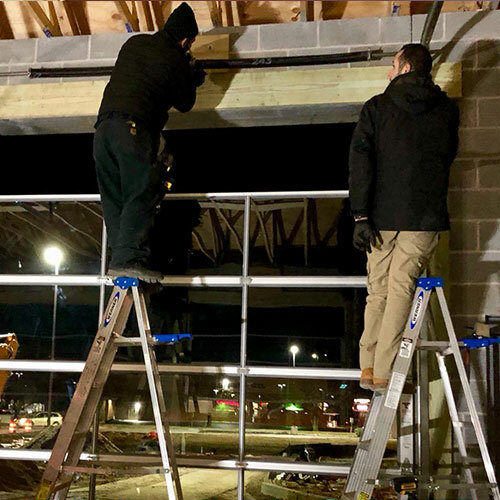 Our technicians are friendly and will always serve you with a smile while exhibiting professionalism and providing high-quality garage door opener repair services. For more information or to get a free quote, call us at 877-218-3667 today. Aside from installing garage door openers, we offer timely maintenance services to help you keep your garage door openers working seamlessly for years. Our technicians ensure that all the parts of your garage door are working in top condition and free of malfunctions.